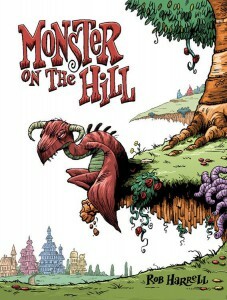 Monster on the Hill is a different sort of all-ages graphic novel, coming this July from Top Shelf Productions. “In a fantastical 1860s England, every quiet little township is terrorized by a ferocious monster — much to the townsfolk’s delight! Each town’s unique monster is a source of local pride, not to mention tourism. Each town, that is… except for one. Unfortunately for the people of Stoker-on-Avon, their monster isn’t quite as impressive. In fact, he’s a little down in the dumps. Can the morose Rayburn get a monstrous makeover and become a proper horror? 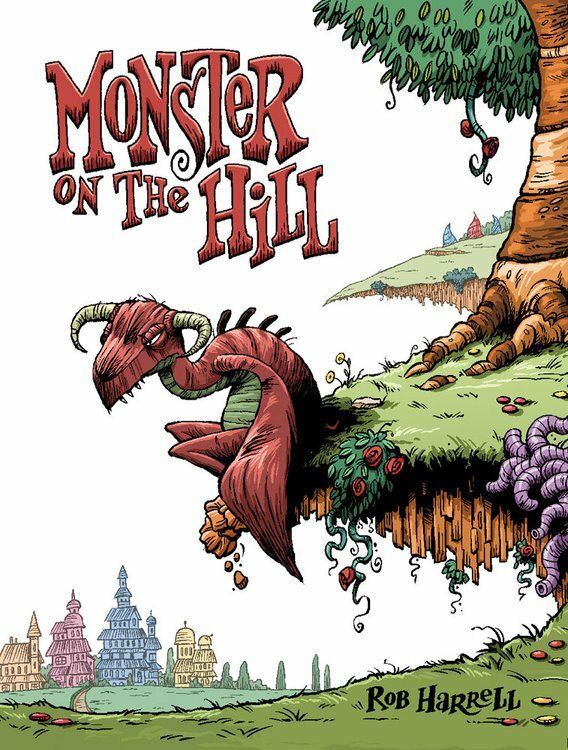 It’s up to the eccentric Dr. Charles Wilkie and plucky street urchin Timothy to get him up to snuff, before a greater threat turns the whole town to kindling.” All of this brought to you in full color by artist and storyteller Rob Harrell. There’s a pretty good preview of it at Whatcha Readin’.